The American Legion is one of the largest Veteran’s Organization in the world. We are dedicated to helping our Active Duty Service Members and Veterans as well as their families and our communities. Eligibility: Active Duty and Honorably discharged Veterans who served during specified dates set forth by Congress. Family members are eligible to join the Legion family through the Sons of the American Legion and the American Legion Auxiliary. 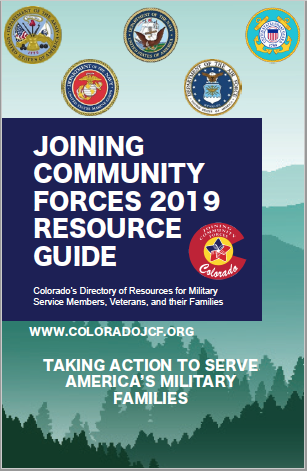 Our mission is to improve quality of care for Veterans and their Families through committed partnerships focused on improving VA-community connections for Colorado Veterans. The Colorado Veteran Community Partnership seeks to serve Colorado Veterans by 1) Improving access to care and coordination of care by increasing awareness of VA and community resources and 2) Establishing a high-functioning VA-community network through enhancing communication and collaborations. Eligibility: Open to interested representatives of community organizations and VA teams. Eligibility: Veteran or currently serving Service Member. Peak Military Care Network (PMCN) connects military Service Members, Veterans, and their Families to the community through information and referral services. PMCN also provides utility bill assistance through Project COPE. For 12 years, we have been doing audio and video programs with Military, Veterans, Families, Caregivers, Military Support and Veterans Groups, and Companies and Individuals who take action in support of them. We hope our new nonprofit will be very big for ALL the Military Support and Veterans Groups, nonprofits and Companies, Veterans, Military and their Families, and First Responders. Goal: To Build a Nationwide and Grassroots Network of the 1% who Serve(d) and all those who Honor, Support, and Help them. Eligibility: Anybody who Serves or has Served and the millions who Honor, Support, and Help them. Task Force:ISO is a 501(c)(3) non-profit organization that teaches Veterans photography as a tool for healing and uses the power of the image as its own inspiration. Eligibility: Students must be Veterans, Care Givers, or immediate Family Members. Photography client organizations must have attained a non-profit tax exempt status and service. Team RWB strives to enrich the lives of America’s Veterans by connecting them to their community through physical and social activity. Currently, four chapters are active in Colorado: Denver, CO Springs, Fort Collins, and Grand Junction. Eligibility: Anyone who has been affected by military service. The USO strengthens America’s military Service Members by keeping them connected to family, home, and country throughout their service to the nation. Eligibility: U.S. military ID card holders and their Families. The VFW has a rich tradition of serving Veterans, Military Families, and their local communities. Its vision is to ensure that Veterans are respected for their service, always receive their earned entitlements, and are recognized for the sacrifices they and their loved ones have made on behalf of this great country. Eligibility: U.S. Citizens who have served with the Active duty, Guard, or Reserve forces—either currently serving or Veterans who have received an other than dishonorable discharge.